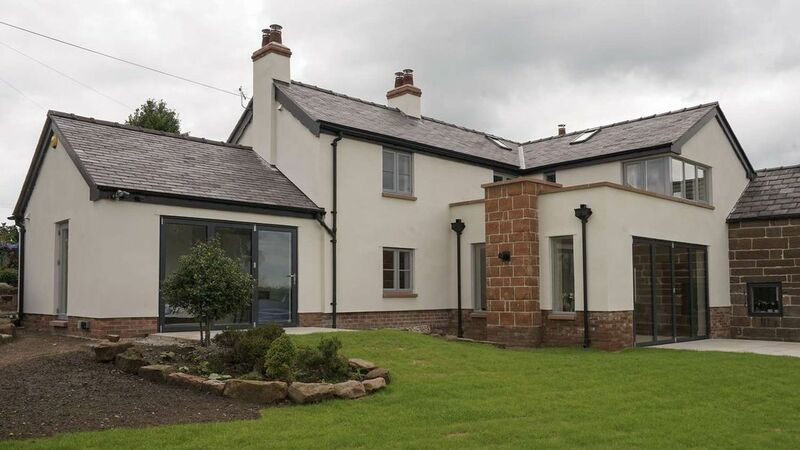 Dartmoor Windows & Conservatories are authorized and accredited suppliers and installers of the world famous Rationel Windows and Doors Systems. Good, solid, quality workmanship has characterised Raitionels windows and doors ranges wince the first products where shipped from their factory in Sdr Fielding in 1954. Based on this sound foundation, Rationel is today an international company with sales offices in Great Britain, Ireland and Denmark. Rationel manufactures energy saving windows and doors of premium quality in terms of both comfort and security. Rationel continuous programme of research and development ensures that they as a company always meet current statutory requirements as well as market requirements for design and functionality. Rationel AURA (Timber Modern) - Made entirely of timber, factory finished the Aura enables you to combine a beautiful natural look with a clean contemporary design for modern buildings and Passiv Haus. Rationel Aura ensures that high levels of daylight and solar heat gain are achieved. This free heat is the best energy source available and also provides a healthy and comfortable indoor climate. These windows come with security ironmongery as standard and are suitable for Passiv Haus buildings. The vast majority of the timber originates from FSC-certificated forests. Best performance Triple Glazed U Value 0.78 W/m2K. 42dB Rw Sound Reduction. with a 60 Years Life Expectancy. Rationel AURAPLUS (Timber / Ali Clad Modern) - Made from timber, with external aluminium cladding the design of Auraplus is slim and elegant, creating a stylish overall architectural appearance, whether you are building a new house or refurbishing an existing one. The slim design also allows maximum natural light into the home. Rationels Auraplus offers all the benefits of natural wood on the inside and easy maintenance on the outside. The range is available with security ironmongery as standard, and are suitable for Passiv Haus buildings. The vast majority of the timber originates from FSC - certified forests. Best performance Triple Glazed U Value 0.79 W/m2K. 42dB Rw Sound Reduction. With 85 Years Life Expectancy. Rationel FORMA (Timber Ovolo Detail) - These windows are entirely made from timber, the angled glazing bead and ovolo molded profile make it an ideal choice for country-style and traditional designs. Rationel Forma ensures that high levels of daylight and solar heat gain are achieved. These windows come with security ironmongery as standard, and are suitable for Passiv Haus buildings. Best performance Triple Glazed U Value 0.78 W/m2K. 43dB Rw Sound Reduction. With 60 Years Life Expectancy. Best performance Double Glazed U Value 1.29W/m2K. 34dB Rw Sound Reduction. With a 60 Year Life Expectancy. Rationel FORMAPLUS (Timber Ovolo Detail / Ali Clad) - These windows are made from timber, with external aluminium cladding. The design of Formaplus is slim and traditional, available in a range of country-style designs with various configurations of glazing bars. The slim design allows maximum natural light into the home. Rationel Formaplus offers all the benefits of natural wood on the inside and easy maintenance on the outside. The range is available with security iron mongery as standard, and are suitable for Passiv Haus buildings. Best performance Triple Glazed U Value 0.79 W/m2K. 43dB Rw Sound Reduction. With 85 Years Life Expectancy. Best performance Double Glazed U Value 1.29W/m2K. 34dB Rw Sound Reduction. With a85 Year Life Expectancy.